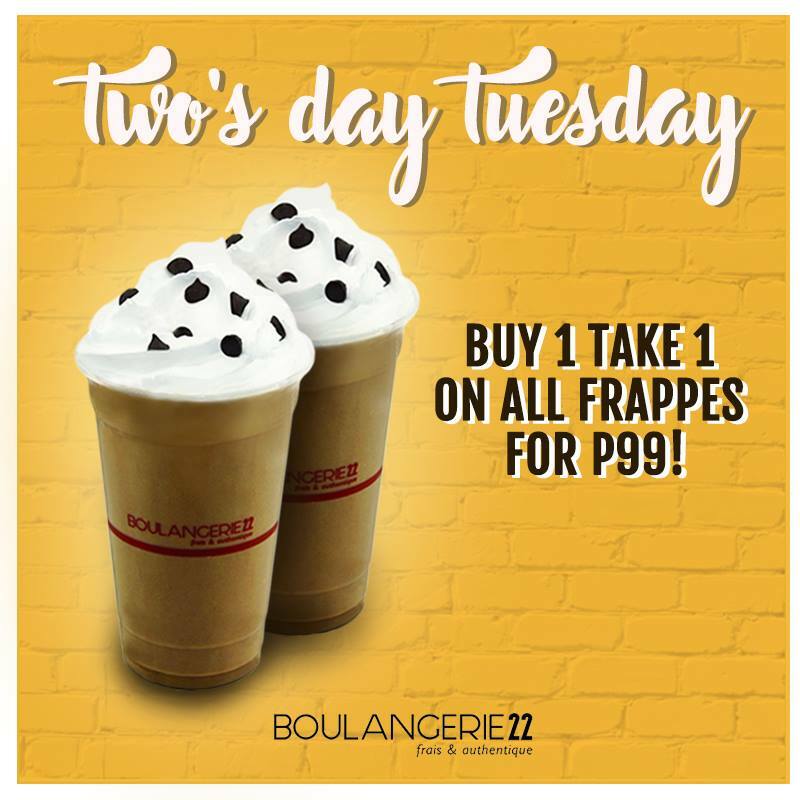 Check out Boulangerie22 Two's Day Tuesday Buy1 Take 1 Promo happening on ALL Tuesdays of August 2017! Buy one (1) Frappe for P99, and get another one for FREE! Available in all Boulangerie22 stores!